We produce high quality koi pond and lake liners, box-welded feature pond liners and water tank liners using SealEco (formerly Varnamo/Trelleborg) Swedish Butyl and EPDM Rubber (GreenSeal), all sizes up to 40m x 45m (1800m2) fabricated at our Wyboston facility here in the UK. Gordon Low Products are an authorised SealEco manufacturing partner so you are covered by the manufacturers 20 year material quality guarantee. 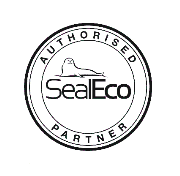 SealEco EPDM (Greenseal) is a rubber pond liner of exceptional quality and is produced in Sweden by SealEco AB, our Butyl pond liner supplier. This pond liner material has the same physical characteristics as Butyl with a cost saving of some 30%. SealEco EPDM pond liner has been used extensively by landscapers and civil engineers for ponds, lakes, canals and reservoirs; EPDM also offers good pond liner flexibility for the more intricate pond designs and is the perfect alternative pond liner to Butyl rubber. Our largest pond liner sheet size in one piece is 1800m2. Available in 0.75mm and 1.0mm thickness. 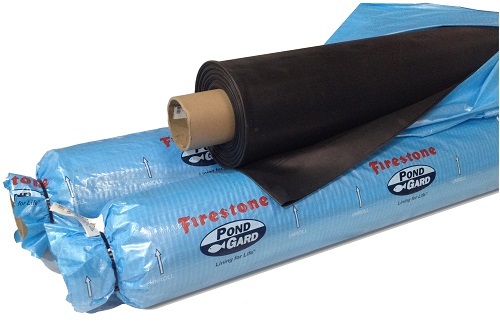 Firestone PondGard EPDM pond liner offers dependable liner performance for many applications including garden pond, landscape products, water containment and irrigation canals. Proven reliability in thousands of exposed applications makes it the perfect choice of pond liner for any project. Firestone PondGard pond liner is available on the roll and as any pre-cut size up to 15.25m x 30.5m, all of which are available on a next day service. Butyl rubber pond liner is the most expensive product for pond lining, now superseded by our SealEco EPDM (Greenseal) pond liner which is more cost effective and has superior specifications. Butyl pond liner is available in exactly the same widths as the EPDM pond liner and is suitable for any lining project where budget restrictions do not apply. Our largest pond liner sheet size in one piece is 1800m2. Our Butyl pond liner carries a lifetime guarantee on sizes up to 140m2 and a 20 year guarantee on larger sizes. 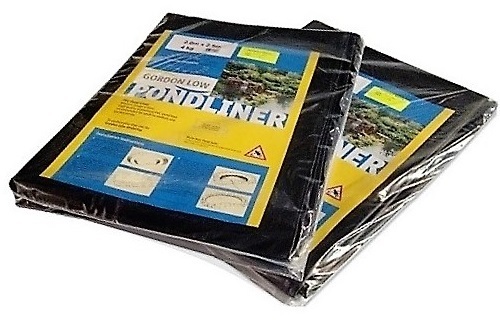 Taylor made pond liners to order. We fabricate special shapes and box-welded liners to your customers' requirements. Firestones European membrane is a 100% cured lining product made of 1.0mm EPDM synthetic rubber. It is available prefabricated in a range of panel sizes to suit most large pond and commercial application projects. Has a very similar look and feel to our Sealeco membrane. Available off the roll in a range of sizes up to 15m x 30m ideal for the larger landscaping projects requiring quick delivery. Our economical high quality PVC pond liner is suitable for lining small to medium ponds, having excellent flexibility and high puncture resistance. All PVC pond liner rolls come with an integral tape measure and are individually wrapped for outside storage; they are suitable for our complete range of dispensing roll stands. We have a range of prepacked sheets from 2m x 2m up to 8m x 10m all attractively packed for shop display. Larger sheets made to order. 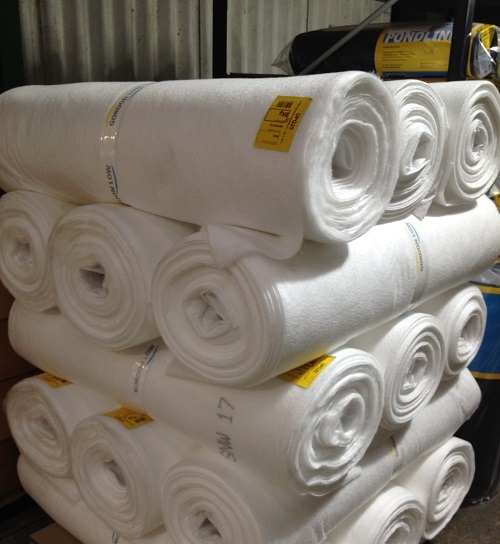 The high quality pond liner underlay materials we supply are all sourced from leading European manufacturers and are superior non-woven, mechanically bonded, needle-punched, polypropylene geotextiles. Our geotextile underlays offer exceptionally high performance and provide a highly effective protective barrier between substrate and pond liner. 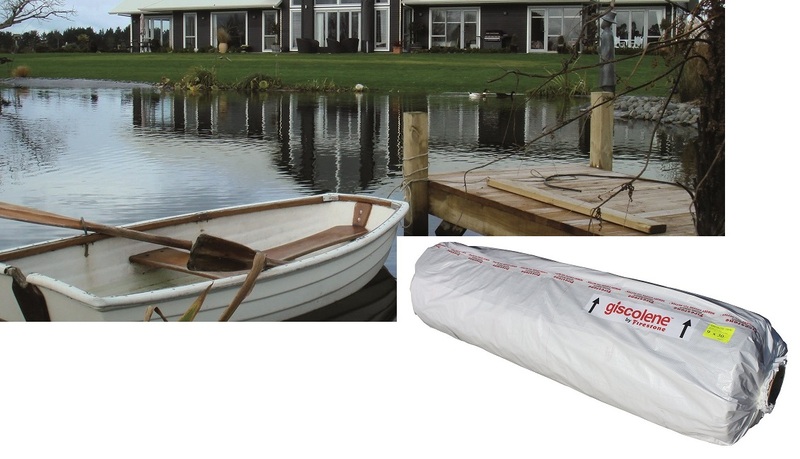 We recommend that our Heavy Duty Underlay (250/260gsm) is used beneath all our pond liners, not only to help protect the pond liner from penetration by sharp stones, roots, etc, but also to reduce excessive localised stretching of the liner when ground settlement occurs over time. For the smaller garden pond or where preferential ground conditions are prevailant we also supply a Pond Grade Underlay (150/180gsm). Gordon Low Products Ltd are the UK based pond liner fabrication company, producing flexible waterproof liners and containment solutions for any scale of aquatics or water management project. Be it a modest garden pond liner, fish pond liner, landscaped lake or five-hectare reservoir, we manufacture the liner to size required from a range of the highest quality materials available. 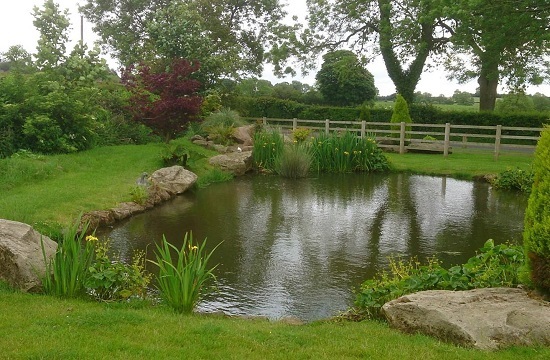 We are a trade supplier but if you would like advice on our different pond liner products, or help to purchase our products, we welcome your call. See our basic pond liner installation instructions here.